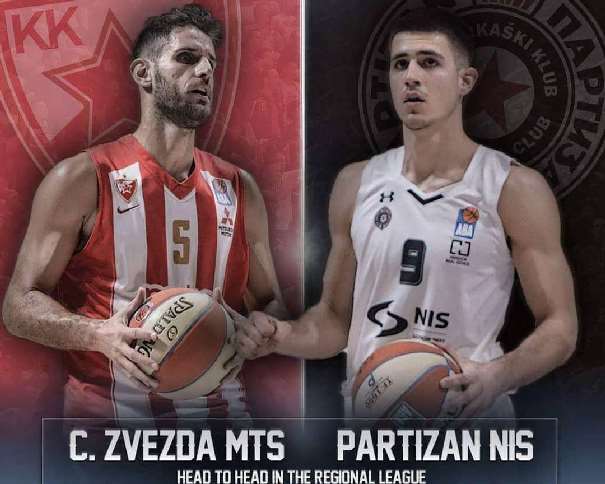 In the first ABA League semi-final game, Crvena Zvezda won 106 – 101 against Partizan after overtime in The Red-Whites Aleksandar Nikolić Hall (also known as Pionir). 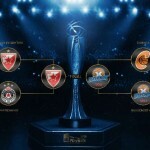 After the 40:00 of the game the final result was 85 – 85. The crowd in Pionir was able to see a fantastic game with lots of points where their favourite team was managed to win at the end. 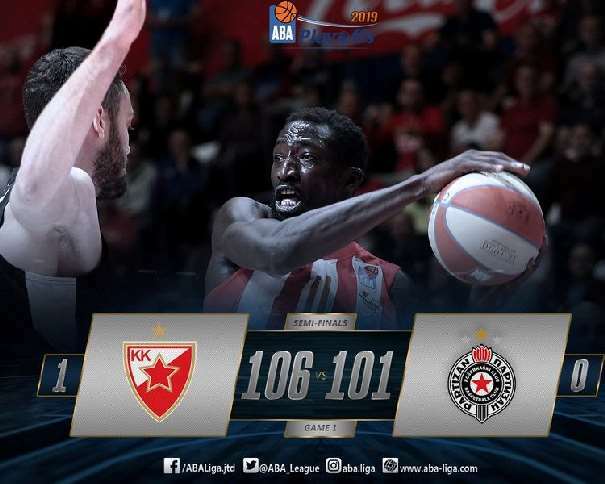 Both squads were leading by more than 10 points and both of them were coming back in the match with a style, so, the overtime decided the winner and seven days from now will have advantage (1 – 0) in The Black-Whites Pionir. Most of the game Zvezda played without its Starting playmaker, Joe Ragland, who was injured during the match and few times. Few times after he was injured he tried, unsuccessfully, to come back, so Filip Čović took his role and fantastically responded. On the other side, Partizan captain Novica Veličković had an excellent match but in the 37th minute he got injured and he was benched. It is good for both teams that the second match will be playing on March, 30th, so everyone will have a chance to rest and heal their injuries. The Red-Whites were leading by 11 (30 – 19) in the 17th minute of the game and only nine minutes later they were losing by 11 (41 – 52). Čović, Dejan Davidovac and Ognjen Dobrić took the control of the home team play and allowed Zvezda to breath. They were rolling the court for a little bit when they were leading by 5 (68 – 63) and, again, the guests made an amazing comeback and took the match to the overtime. 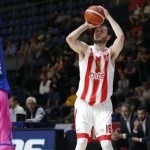 Vanja Marinković scored an important three pointer (84 – 83) and Alex Renfroe scored the last points in the 40 minutes of the game (85 – 85). 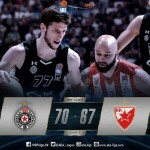 In the 5 minute overtime, the home team finished the match as the winners mostly thanks to an unsportsmanlike fault that Đorđe Gagić, from Partizan, made against Billy Baron. The MVP of the match was Davidovac with 18 points and 6 rebounds for an index rating of 26. Baron was the top scorer of the game with 23 points (index rating of 23, too). Čović finished the game with 16 points and 9 assists (index rating of 18). The last one with double-digit points in the home squad was Kelvin Rivers with 12 (index rating of 10). 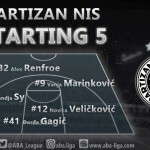 In Partizan, Marinković scored 20 points (index rating of 21), Jock Landale added 17 (index rating of 15), Renfroe had 14 with 8 assists (index rating of 15), Veličković ended the match with 11 points, 5 rebounds and 4 asists (index rating of 14) and Rade Zagorac finished the game with 10 points and 4 rebounds (index rating of 11).